Soak lid and body of clay baker in water for 15 minutes. Put leeks on bottom of clay pot, add a few sprigs of rosemary, apples and olive oil, lay chicken on top of leeks and apples. Cover with lid, place in a COLD oven, turn oven on to 500o, and cook for an hour. 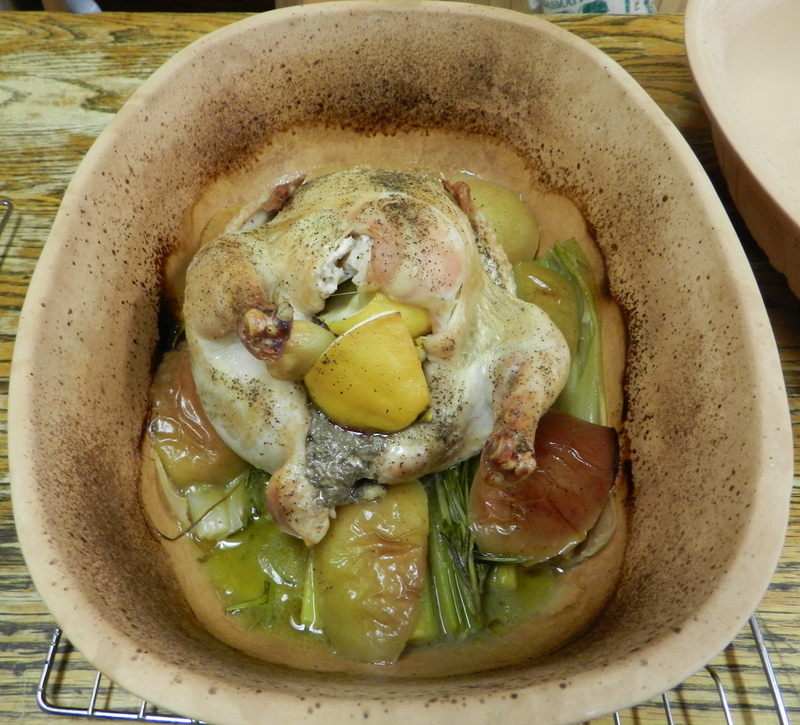 Let chicken and vegetables sit in clay pot, covered, for about 10 minutes before serving.